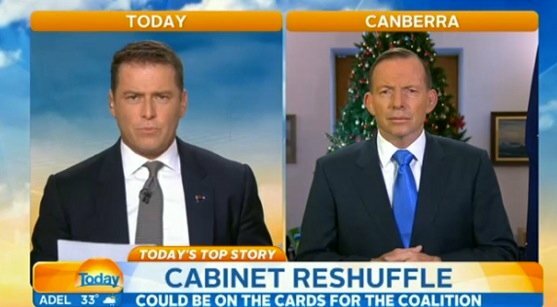 This Karl Stefanovic Tony Abbott interview was epic. Karl Stefanovic: "No one is buying what you're selling Prime Minister...."
Well, this was an equal parts awkward and equal parts glorious interview. 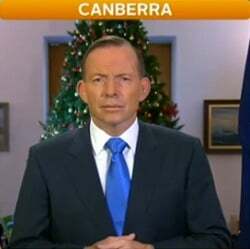 Earlier this morning on the TODAY show, the Prime Minister made an appearance. Yes, the morning after he tried to hit the reset button. Yes, the morning after he ‘admitted’ what the public knew all along: The Prime Minister DID break his pre-election promise not to make cuts to the ABC. Basically, Mr Abbott was hoping for a clean slate. And, likely, some nice and straightforward interviews on breakfast TV this morning. This might have been all well and good. Oh, except that he was going up against one seriously ticked off Karl Stefanovic. When Mr Abbott tried to deflect tension by blaming political dissent on the Labor Party’s “feral mood”, Karl was quick to hit back that the Coalition’s behaviour was “fairly feral” during the election campaign too. The phrases”are you worried that you might be a one- term wonder” and “no one is buying what you’re selling” even made an appearance. It was glorious television, which may as well have ended in Karl shouting ‘hypocrite’ at his guest. People on Twitter found the whole thing fairly hilarious. And yes, trust us, if you missed this live on air you’ll want to watch this video until the end. 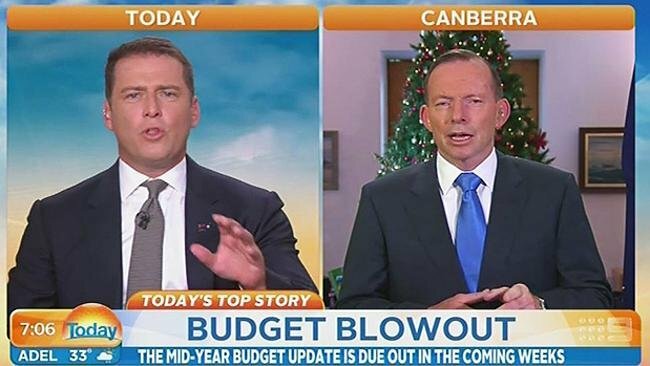 @TheTodayShow HAHAHA @karlstefanovic just called @TonyAbbottMHR feral to his face on live TV! I’m sorry Abbott, but that was genius Karl. Spoiler alert: The whole thing basically ends like this. Karl: 1. Tony: 0. You can buy Karl Stefanovic’s stinky feminist fighter suit. Karl Stefanovic may usually be a joker, but this time? He’s deadly serious.